Members of the National Touring companies of WICKED and BEAUTIFUL – THE CAROLE KING MUSICAL, and HAMILTON Chicago company members, will host “We Three Shows: A Broadway Holiday Benefit,” a cabaret concert benefitting Chicago House and Social Service Agency and Broadway Cares/Equity Fights AIDS. The benefit will take place at Thalia Hall (1807 South Allport Street) on December 11, 2017 at 7:30PM. Doors open at 6:00PM for VIP ticketed guests and 7:00PM for general admission. General Admission tickets are available for $65 (main floor) and $85 (balcony seating). VIP tickets are available for $150 and include a pre-show reception with the performers at 6:00PM, reserved premier seating, catered light hors d’oeuvres, and complimentary drinks. A limited number of premium opera boxes are available for $550 which includes seating for six at the foot of the stage. Tickets are currently on sale now at www.thaliahallchicago.com. Net proceeds raised from the benefit will support adults and children living with HIV/AIDS as well as those at risk for HIV through wraparound services provided by Chicago House, including housing, employment services, medical linkage and retention, and prevention services. 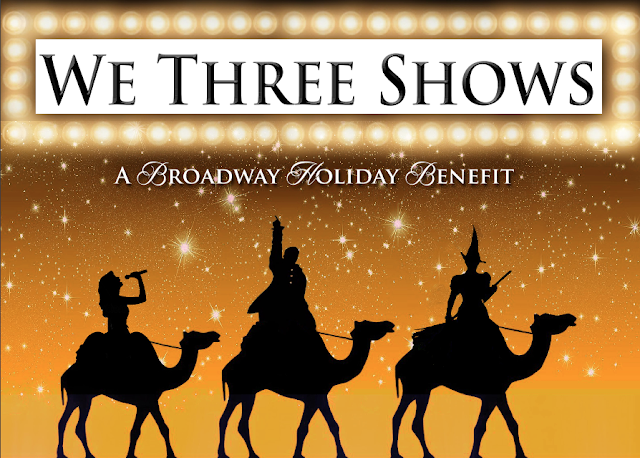 “We Three Shows: A Broadway Holiday Benefit” is produced by the company members of WICKED, BEAUTIFUL – THE CAROLE KING MUSICAL and HAMILTON themselves. This performance event is an opportunity for the company to step out of their roles in the musicals and perform some of their personal favorites. The evening will include a live auction featuring backstage tours – including costuming, makeup and “watching from the wings” opportunities, performance tickets, and an opportunity for walk on roles. WICKED is at the Oriental Theatre (24 W. Randolph) now through January 21, 2018. Returning to Chicago by popular demand, BEAUTIFUL – THE CAROLE KING MUSICAL plays through January 28, 2018 at the Cadillac Palace Theatre (151 W. Randolph). HAMILTON is currently playing at the CIBC Theatre (18 W. Monroe) with tickets on sale for performances through September 2, 2018. Tickets for all three shows are available at Broadway In Chicago Box Offices (24 W. Randolph St., 151 W. Randolph St., 18 W. Monroe St. and 175 E. Chestnut), the Broadway In Chicago Ticket Line (800-775-2000) and online at www.BroadwayInChicago.com. Broadway Cares/Equity Fights AIDS is one of the nation’s leading industry-based, nonprofit AIDS fundraising and grant-making organizations. By drawing upon the talents, resources, and generosity of the American theatre community, since 1988 BC/EFA has raised more than $300 million for essential services for people with AIDS and other critical illnesses across the United States. Chicago House and Social Service Agency has been on the forefront of reducing barriers for those affected by HIV/AIDS since the early years of the epidemic. Founded in 1985, Chicago House was the first HIV housing provider in the Midwest. We now serve more than 2,000 clients annually through expanded programming to holistically support individuals living with HIV/AIDS. Chicago House provides integrated programs inclusive of housing, employment services, medical linkage and retention services, HIV prevention services, trans specific services, and supportive programming to those who are disenfranchised by HIV/AIDS, LGBTQ marginalization, poverty, homelessness, and/or gender nonconformity.